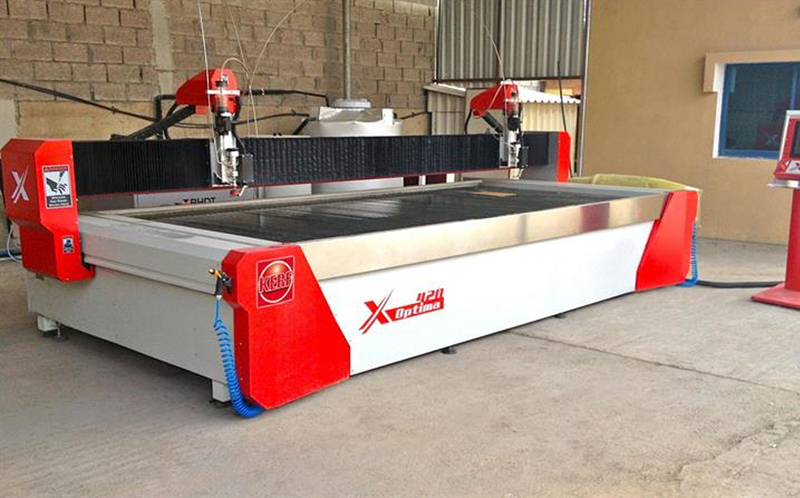 A waterjet cutting machine is perfect for cutting all kinds of material including metal, stone and wood. Our team of engineers have many years of experience and will carefully assess your needs before making the best recommendations for the machinery that is best suited to you. Add the speed and versatility of a Kerf Waterjet cutting platform to your workshop, and expand your capability from day one. A uniquely accurate and powerful process, an abrasive waterjet is able to cut the widest range of materials and thicknesses. Offering a rapid transition from drawing to the finished part, the benefits are many and varied. It gives the user high accuracy in both the profile quality and the finish often eliminates the need for secondary cutting. Kerf provide waterjet cutting equipment that represents excellent value and reliability. We provide equipment with the best build quality, accuracy and reliability. Kerf Developments take great pride in our ability to not only recognise which machine configuration would be suitable for particular applications, but also in our exceptionally high standards of customer service. From there, the care and attention you receive as standard through installation to servicing and maintenance is unparalleled in the industry.